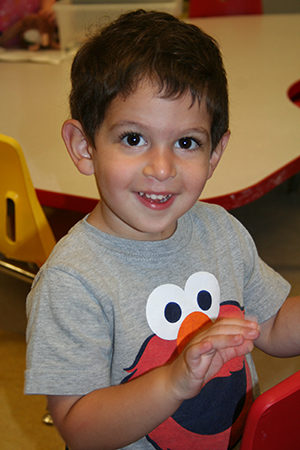 Beth Meyer Preschool does not require any evaluations or testing of children for admission. Currently enrolled children (Beth Meyer members and non-members) are guaranteed a spot for next year (not a specific class), as long as the registration deadlines are met. For new families registering for classes, in the event that we have more applicants than openings in any of our classes, we will contact you to ask if you would like to place your child’s name on a waiting list. If not, we will return your registration fee. Once registrations have been accepted, tuition contracts will go out to registered families. Contracts will have a deadline to be returned written into the contract. If you are interested in our 12-24 month class, please speak with someone in the office to make sure that your child is ready for school. Please note that child placement for all classes is at the discretion of the director and may not end up matching the dates listed on the registration sheet. We try to match up the children with classes the best that we can based on teacher input and observation. Registration Form and fee are due to hold your child’s space. Registration for 2019-2020 will open soon. Please submit your registration by April 28th to be guaranteed a space. After April 28th, families will be placed on a waitlist. We look forward to having your family with us next year!